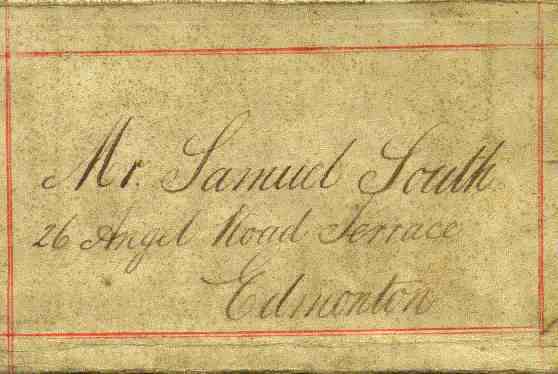 The bank passbook of Samuel South(1) for the years 1886-1892 has survived. An initial analysis of the entries can be found in the Articles section. Opening pages of the bank passbook. 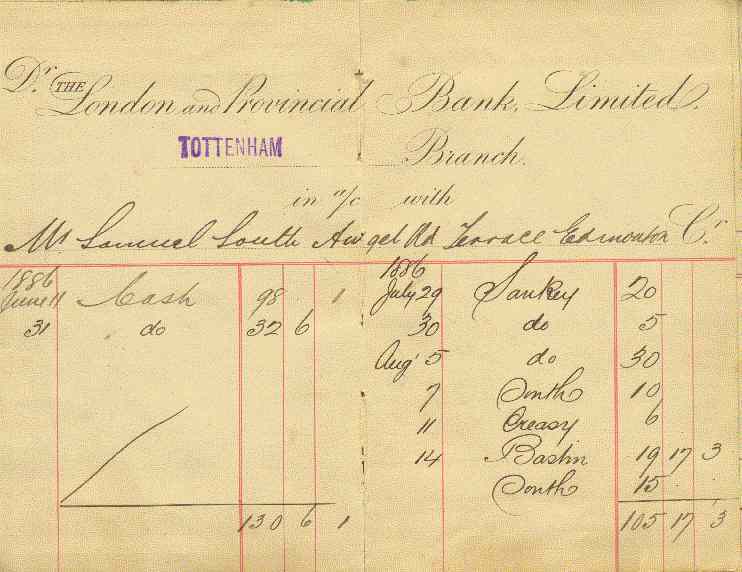 The first three entries show payments to "Sankey"
the previous occupiers of the White Hart Lane pottery site.